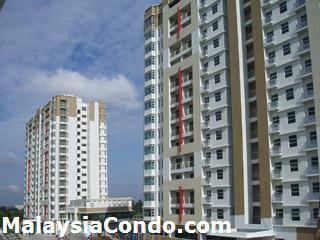 The Heron Residency is located in Bandar Bukit Puchong, consists of two apartment blocks with a total of 290 service apartments. There are 9 layout types with 1, 2, and 3-bedrooms designed. The built-up size ranging from 525 to 1,260 sq.ft. Facilities at The Heron Residency include swimming pool, wading pool, BBQ area, putting green, children's playground, sauna, multi-purpose hall, cafeteria, launderette services, convenience shop, multi-sport court and gymnasium. Built-up Area : 525 – 1,260 sq.ft.